Our Greater Washington regional headquarters is located at One Research Court, Suite 400, Rockville, Md. Locally, our customers bank with us at nearly 55 offices across 15 counties, including: Arlington, Clarke, Fairfax, Fauquier, King George, Loudoun, Prince William, Stafford, and Warren County, Va., as well as Montgomery County and Prince George's County, Md. 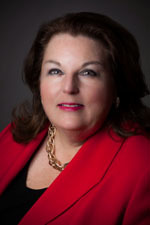 Cecilia Hodges has more than 31 years of experience in the financial services industry, including 22 years with M&T. She sits on the boards of the boards of Easter Seals Serving DC | MD | VA, Youth for Tomorrow Real Estate Foundation, and Women Giving Back (WGB). She also serves as the chair of the ‘M&T Bank Bright Stars Night at the Circus,’ a memorable evening at the circus for children and adults with disabilities, wounded warriors, and military veterans and their families.